Dillon Ward’s GAA is over 14 and he’s 2-0. Johnny Powless has 1 goal and 5 assists in 2 games. 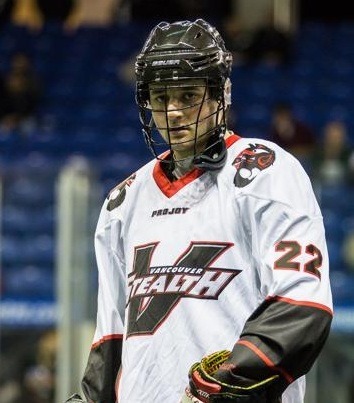 Transition player Ilija Gajic has more points for the Stealth than Powless. Evan Kirk is looking like a Goaltender of the Year candidate. Kirk was outstanding in his rookie year of 2012 but after a dismal sophomore year, he came back a little last year in Philly and has been lights-out so far this season in New England. The top of the scoring leader list contains names like Sanderson, Grant, Evans, Duch, Jones, Jamieson, Crawford. Like I said though, all of these unusual things can and probably will change. Powless will get hot. The goalies mentioned will undoubtedly get better. The undefeated teams will lose and the winless teams will win. The Rock scoring average will probably drop, though how far is anyone’s guess. But the unexpected is one reason why I love the NLL.